As the name suggests, the Bahco Laplander Folding Saw Replacement Blade is a replacement blade for our Bahco Laplander Folding Saw. 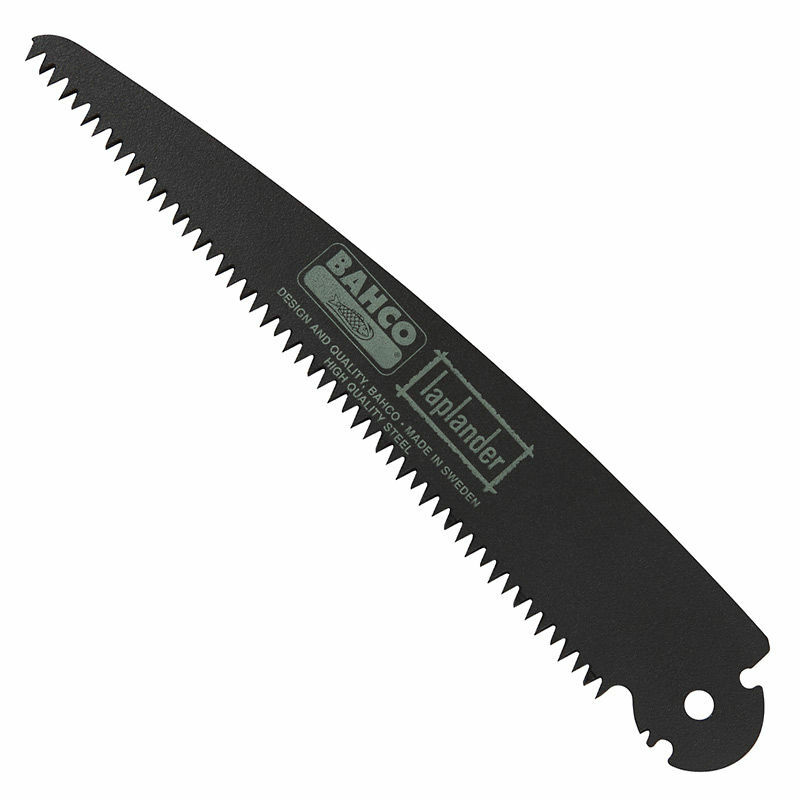 Bahco Laplander Folding Saw Replacement Blade is rated 5/5 based on 44 customer reviews. A great replacement for my trusty old Sandvik pruning saw. It fits and folds away perfectly and is wickedly sharp. Very competitively priced from Ray Mears too. Time will tell how durable it is but I think it will be good if the quality of other Bahco brand tools I own is anything to go by. Watch your fingers! Bought to replace the original blade that is three years old and starting to slip and not cut as efficiently. If it lasts like the other one did then there will be no complaints from me. The usual excellent service from Woodlore. First class piece of kit and at a very reasonable price compared with other sites. Since purchase I have used it in some demanding situations where it has performed very effectively. My go to saw. still the most resonable place to by replacement blades! Thanks again Woodlore for being there when needed! The Bahco Laplander folding saw is a superb piece of kit for light felling and other bushcraft tasks. It has a good steel blade that lasts for quite a while. Because the teeth are small I found it clogs when cutting very green or sappy wood but not impossible. The blade is Easy to replace in the handle, just undo one nut, take the old one out, slide new blade in, tighten the nut and it's done. Spare blades for saw. They were delivered in very good time. Quite reasonably priced. Couldn't find replacement blades anywhere in the States for a reasonable price. I was able to buy two saw blades and my Small Forest axe plus shipping for less than just the axe in the States. Pleased to find the spare blade for less than the cost of a new Laplander, though somewhat disappointed that the two supplied had slight different blade shapes near the hinge, different from the original blade, and neither would lock in the closed position. I don't know if that reflects changes in the Laplander design or the blade over time. Obviously not a critical flaw. Thank you for your comments. As far as we are aware the design has not changed in the past few years, but this may be the case if your saw is quite old now. 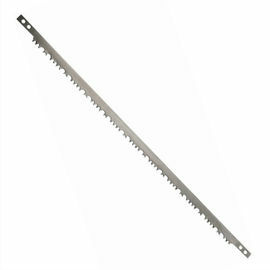 Please feel free to return the blade to us if unused and will not fit your current saw with a covering note. We could try to find a suitable replacement within the batch we have, or could alternatively arrange a refund. Great saw, and was really easy to use. I have always been impressed with this blade. 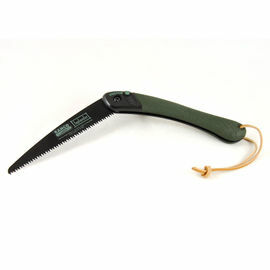 Most available folding saws are pruning saws, with teeth designed for cutting through living wood, for gardening, tree surgery etc. This often means they don't cut dry, hard wood quite as easily. Bahco makes several '396' pruning blades, any of which will fit the Laplander handle, even having different teeth for cutting living wood in summer or in winter. This blade has different teeth again, and I have found it to cut green wood well enough, but also excel in dry, hard wood (e.g. firewood). For that reason, I like this blade very much as an all-round camp saw.